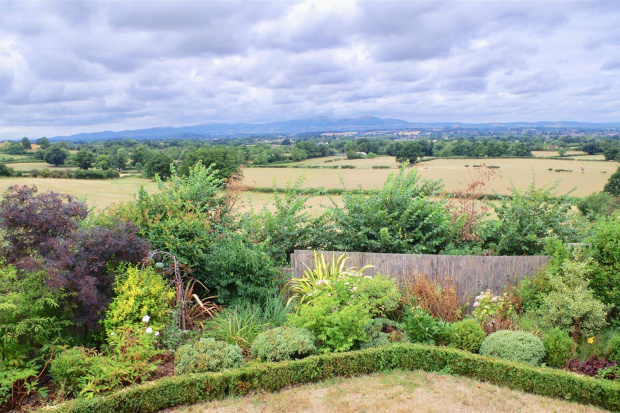 Long Leap occupies a magnificent elevated position on the edge of the rural parish of Stonehall Common with views across towards the Malvern Hills, May Hill and Clee Hills. 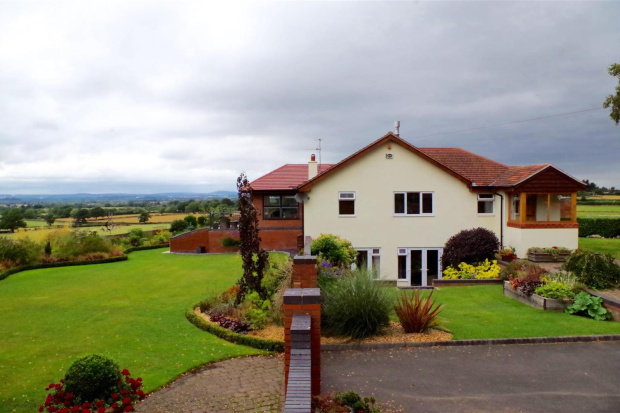 The property benefits from excellent communications links with M5, M50 & M40 motorways all within easy reach, providing access to the Midlands, London and the South. Road Links: M5 (Jct 7) 6 miles. There are primary school education at Kempsey and Norton. Secondary state schools are at Pershore and Worcester. There are a significant range of independent schools in the are which include Malvern St James, Malvern College, Kings School and Royal Grammar School both at Worcester. More information is available on www.isc.co.uk for independent schools and www.worcesteshhire.gov.uk for state schools. The thriving villages of Kempsey and Norton offer a range of local amenities including a primary school, village hall, pub and restaurant. Worcester provides a broad range of shopping, educational and leisure facilities. For more retail and cultural therapy Birmingham, Cheltenham and Malvern are easily accessible. 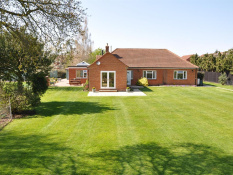 The surrounding areas offer wealth of sporting and recreational opportunities. 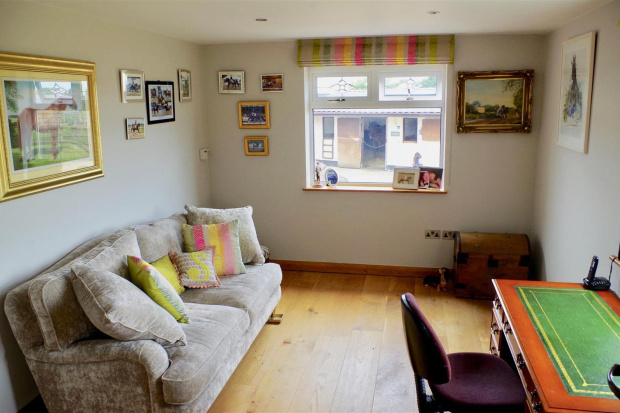 The area is synonymous within the equestrian industry and the property benefits from excellent outriding. 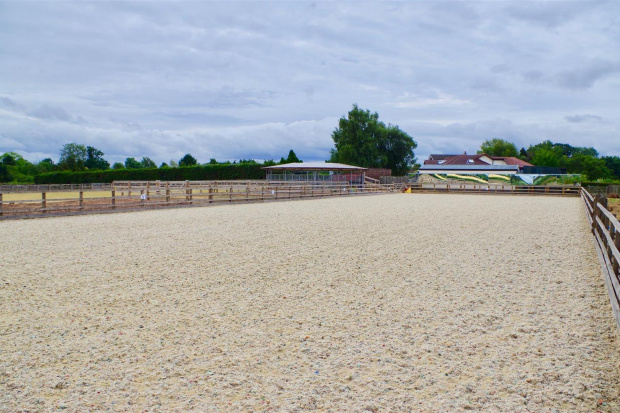 Local equestrian centres within eThe thriving villages of Kempsey and Norton offer a range of local amenities including a primary school, village hall, pub and restaurant. Worcester provides a broad range of shopping, educational and leisure facilities. For more retail and cultural therapy Birmingham, Cheltenham and Malvern are easily accessible. The surrounding areas offer wealth of sporting and recreational opportunities. 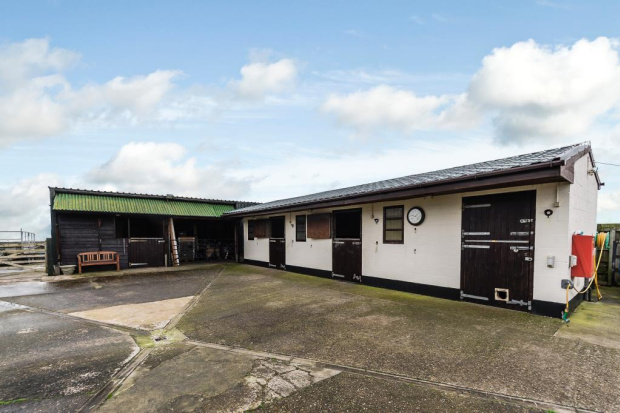 The area is synonymous within the equestrian industry and the property benefits from excellent outriding. Local equestrian centres within easy reach Abbey Equestrian, Allenshill, Hartpury, Stourport Equestrian Centre, Summerhouse and Three Counties Showground all hosts to a series of year round competitions. Racing at Cheltenham. Chepstow, Hereford, Stratford, Warwick and Worcester. Hunting is with the Croome & West Warwick, Ledbury and North Cotswold Hunts. Golf is available within the area, with beautiful walks on the Malvern Hills. asy reach Abbey Equestrian, Allenshill, Hartpury, Stourport Equestrian Centre, Summerhouse and Three Counties Showground all hosts to a series of year round competitions. Racing at Cheltenham. Chepstow, Hereford, Stratford, Warwick and Worcester. Hunting is with the Croome & West Warwick, Ledbury and North Cotswold Hunts. Golf is available within the area, with beautiful walks on the Malvern Hills. 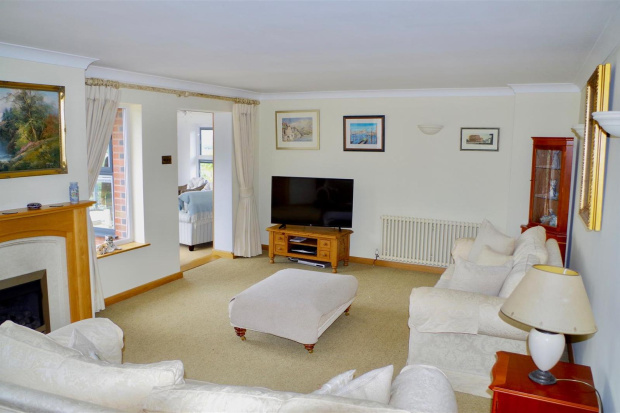 Long Leap is a delightful detached house offering spacious four bedroom accommodation. 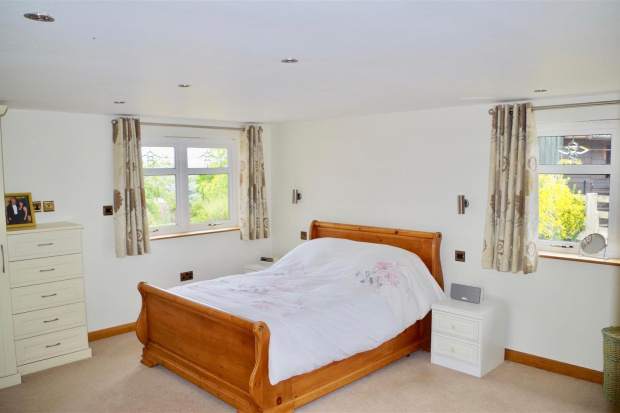 The property enjoys a glorious rural situation with fabulous rural views from the principal rooms. 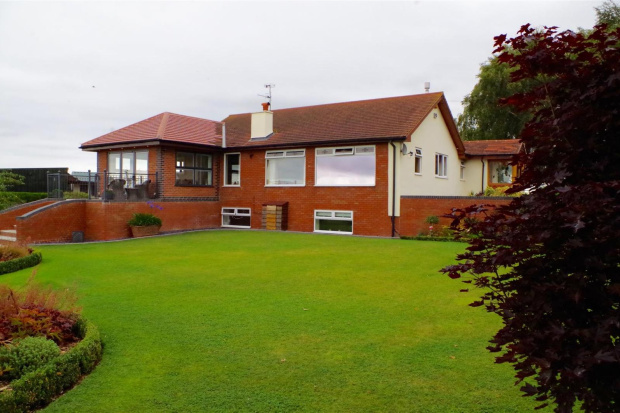 The house has been sympathetically extended and updated to create a well laid out and spacious house. 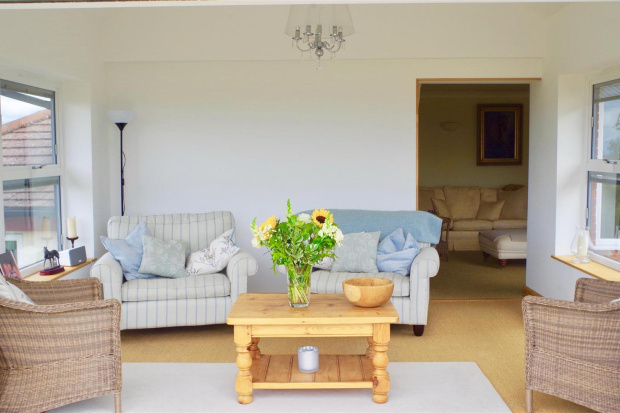 There are two main reception rooms including the beautiful dining hall with oak flooring with double oak doors leading through to the sitting room. 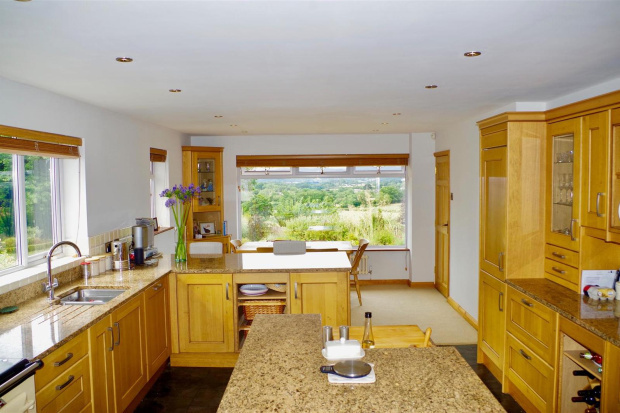 The kitchen is fully equipped with quality units incorporating Aga. Sun room is a relaxing room with bi-folding doors leading to the patio area. There is also a study, utility and cloakroom. 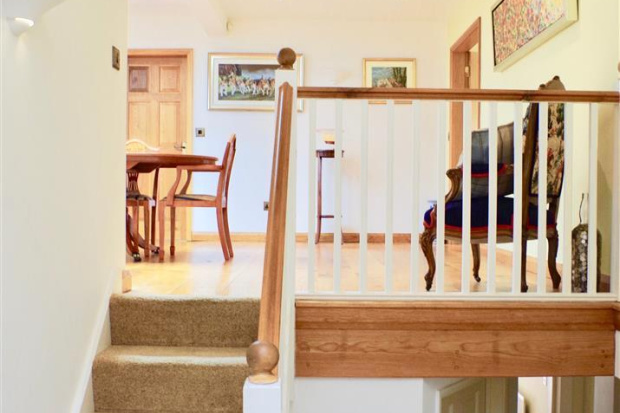 From the dining hall stairs lead down to the master bedroom with en suite, with further stairs leading down to three further bedrooms and family bathroom. Steps sweep down from the Sun Lounge to the formal gardens which are laid to lawn and beautiful well established borders with patio area. 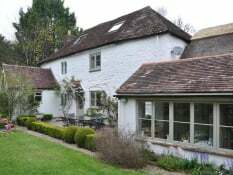 To the side of the house is the stable block and hay store, there is pp for a further stable. 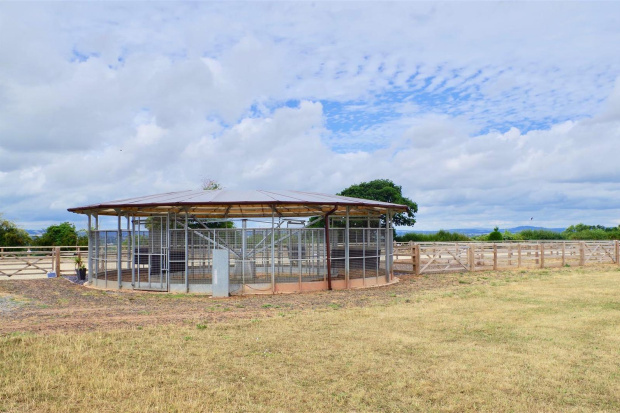 A gate leads around to the arena, horse walker and all weather turnout areas with the adjoining post & rail paddocks. Long Leap is approached via wrought iron electric gates and lead up a long drive with the paddocks to the side. On approaching the house there is a lawn area with ash trees. The drive sweeps on around to extensive parking with double garage ad triple timber frame carport. From M5 (Jct 7) follow the ring road A440 signed Malvern and Hereford. Take the exit signed Norton and Littleworth. At the roundabout continue over passing the St Peters Garden Centre and take the next turning left into Hatfield Bank signed Pirton, Hatfield and Stonehall Common. Pass through the village of Hatfield and after 0.3 miles Long Leap will be found on the left handside. See location plan for alternative routes.